Established in 2010, Innovate New Albany is the city’s hub for startups, entrepreneurs, and small businesses to work, grow, and thrive. An organization funded by the City of New Albany, we offer private office suites, cubicle workspaces, shared conference rooms, event spaces, virtual business addresses, and more to our small business residents. Accordingly, we’ve developed our own education and networking programs completely free of charge. TIGER Talks, TIGER Tales, and TIGER Workshops are hosted by local experts who volunteer to share their knowledge with and teach their skills to the Central Ohio startup community. TIGER stands for Technology, Innovation, Growth, Entrepreneurship, and Responsibility. These five values match Innovate New Albany’s mission and brand, so we chose TIGER as the anchor name for our varied events. Most events offered by Innovate New Albany support our commitment to one or more of these theme areas. 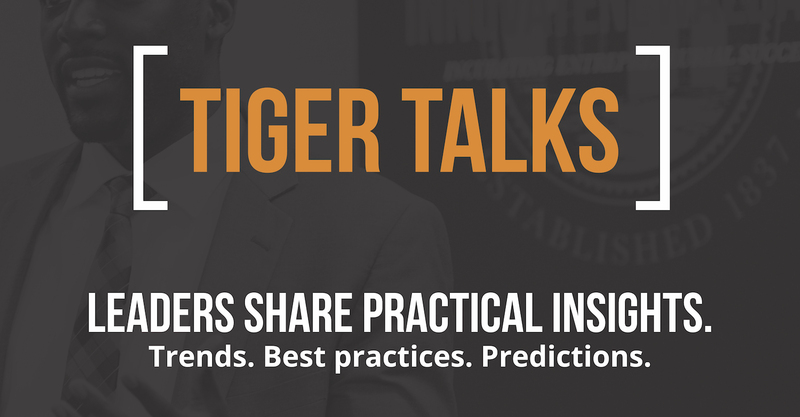 Each TIGER Talk is a one-hour presentation delivered by a skilled leader with valuable expertise to share. These events are structured to promote active networking before and after the presentation. TIGER Talks are held on Fridays, 11:30am – 1pm and include lunch. It’s inspiring to hear stories about how successful entrepreneurs started out, the obstacles they’ve overcome, the lessons they learned, and the decisions that contributed to their success. 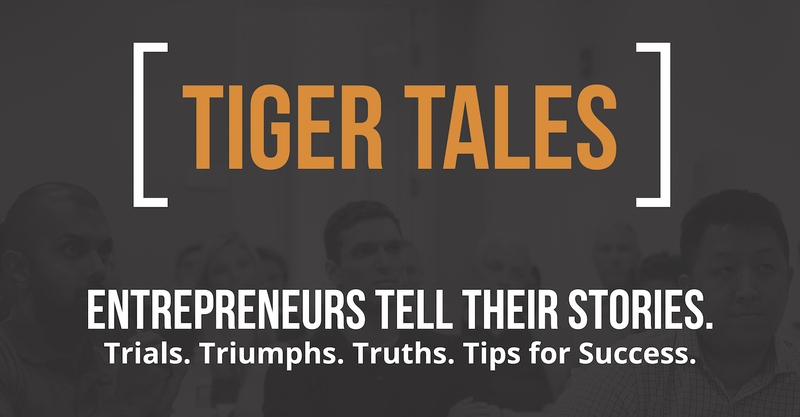 TIGER Tales provide entrepreneurs the opportunity to share how they’ve achieved all they have while motivating new entrepreneurs to follow their dreams. TIGER Tales follow the same Friday lunchtime schedule as TIGER Talks. 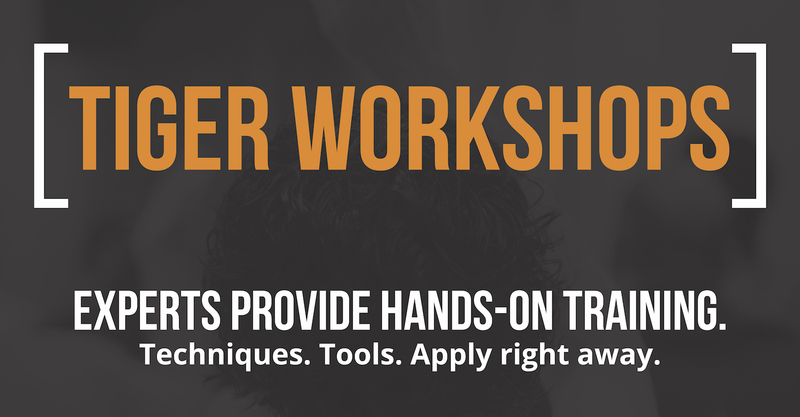 A spin-off of TIGER Talks, TIGER Workshops are comprehensive, hands-on training sessions that dive deeper into a particular topic or skill. Attendees leave with a new set of tools or skills they can apply to their business that very day. Past TIGER Workshops focused on building your own website, maximizing your SEO effectiveness, and using mindfulness meditation to improve your effectiveness in business. TIGER Workshops are held on a Wednesdays and run from 9:30am to 11:30am or noon. Coffee is provided. TIGER Talks, TIGER Workshops, and TIGER Tales provide opportunities for entrepreneurs to “earn their stripes” and prepare to run successful businesses. Networking is a big part of TIGER events, since knowing people with complementary skills and other connections are key elements to succeeding as an entrepreneur. Our events are free, but registration is strongly encouraged so we can plan accordingly. If you have never attended one of Innovate New Albany’s TIGER events, subscribe to our newsletter to stay up-to-date on our future events. We also welcome high-value speakers and guest bloggers, so if you want to share your knowledge with the Central Ohio startup community, please submit an inquiry about contributing. Learn more about upcoming TIGER events by subscribing to our weekly newsletter, following us on Facebook, Twitter, and LinkedIn, and browsing our events.